India, a land of color, beauty, squalor, history, magic and charm. With such stunning country at your finger tips it can be difficult to know where to begin and how to tackle your first steps into this country of wonder. But help is at hand! Here you’ll find some helpful advice on how you can make the most of your trip to India, so take the plunge and read on. Have you thought about travel insurance? It’s important that before you travel anywhere that you’re covered by a policy that protects you should something go wrong. If you need a little advice or more information then check out SafeTrip Travel Tips. You’ll never be short of things to see and experience when you visit India that being said, it can also be a little overwhelming. Where could you possibly begin? The fact is that you’ll never have time to see everything in one trip, so begin with deciding what you’d like to see, figure out how much time you have and then plan accordingly. Be realistic, if it’s your first time in India then I’d recommend visiting the Golden Triangle. This is a combination of India’s top three attractions and destinations: Delhi, Agra and Jaipur. Head to Delhi at the start of you adventure and discover Humayun's Tomb and try the incredible street food. Then head on to Agra and tour the beautiful and iconic Taj Mahal. Then it’s onto Jaipur, why not tour the City Palace and discover the sprawling street markets and food fare before you fly home? Because India is such a large place that’s crammed with things to see and do, it can feel like an impossible task to see everything. Try to avoid making your visit stressful and take your time in each place. It’s much more rewarding to enjoy one destination or attraction in full than rushing around and barely seeing lots of different attractions. Gain a better understanding and appreciation of where you are by taking your time and soaking up the atmosphere and culture. Getting sick while in a foreign country is something all of us dread. And no one wants to get ill, especially if they’re only travelling for a few days. 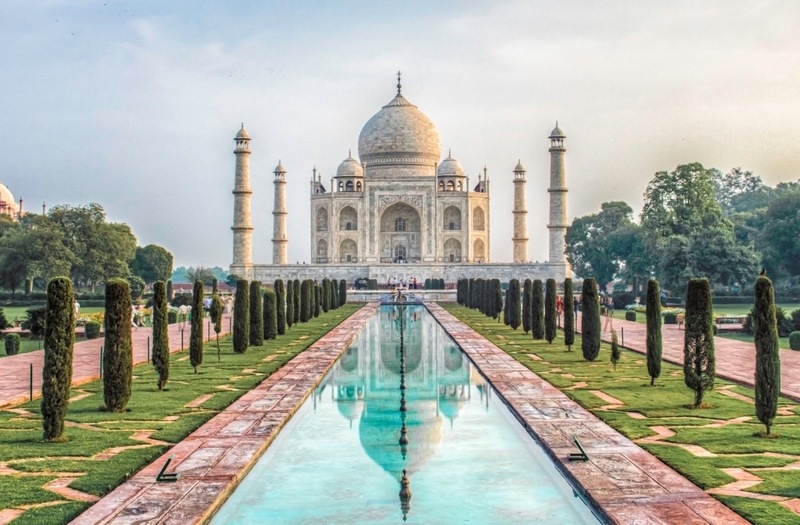 It’s important to do a little homework before you travel and find out what common practices other travels do when visiting India. Here are a few to get you started. ● Don’t eat any food that may have been washed in tap water. Including salads and fruit. ● Avoid ice cream and ice. ● Let your digestive system acclimatise for a couple of days before you try local delicacies. ● If you’re trying street food, check out the stalls first. Make sure they’re popular and attracting customers, not flies! Take your lead from the locals and other travellers. On the road? Take some hand sanitiser or wipes with you, just to make sure you can keep your hands clean before you eat again.